As we watched Tobia’s questions. we were reminded of South Carolina Representative Trey Gowdy, who is know for direct questions during hearings and not letting people wander off topic and give long answers without really answering the question. Like Gowdy, Tobia started asking questions on basic things like research that was used to support the projects, numbers of people using the projects, sponsorship of the projects, outside and private funding of the projects and the assertion of increase in tourist dollars. It is brutal to watch if one wants to believe that the County Commissioner and supporting boards and staff have done their homework on the issues. Time after time after time, Tobia exposes through his questions and the answers of the people he is questioning, that they were either lying in statements and presentations to the Commission or had not done any type of due diligence on the facts. For example, for the Oars & Paddles Park and Piers project, the report said that the project currently served 100,000 people. Tobia called Indian Harbour Beach in which the project is located and asked where that number of people came from. Surely Indian Harbour Beach would know. They didn’t. Tobia said that they had no idea yet the number was given in the supporting documentation. It turns out that the number was just a number made up whole cloth. No one ever questioned the number or the validity of the number. At 4:08:25 Tobia turns up the heat and asks that as the number of people using the Oars and Paddles dock is 100,000 annually now, and the people projected to use it annually in the future, where is the economic impact of over $17 million dollars going to come from? In our opinion, it’s a great question. If the number of people who are going to use the facility doesn’t increase, where is the increase in dollars coming from? Garvey stuttered and stumbled with no answer. Commissioner Curt Smith interrupted to rescue Garvey and said the $17 million is what is being generated now by the Oars & Paddles Parks and Piers. The problem with that answer is it is not supported by the document presented to the Commission. It is clear that the report doesn’t support what Smith (and eventually Garvey) is saying. The numbers in the chart don’t match to what is being said. Such inconsistencies should have raised all sorts of red flags to the Commissioners as well as to the staff that was presenting the agenda item and recommending it be approved. 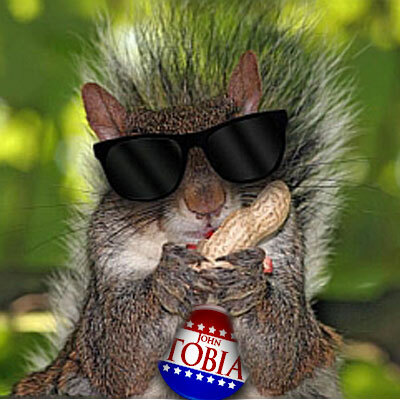 Tobia is not our favorite person, but he had not only found a nut or two that needed examination, he found enough nuts as a blind squirrel to plant an entire forest. For his efforts, he was attacked by the other Commissioners. If Barfield was trying to make a point, it was a bad one. If he wanted to compare Tobia to Perry Mason, Mason “tried” 217 cases over the course of the television and movie career losing only once. In other words, Barfield seemed to be saying that Mason was like Tobia and Mason was overwhelmingly right. Not exactly the point Barfield should have been trying to make if he disagreed with Tobia. “But I’ll tell you what,” Barfield continued. “I don’t see anything wrong” with these projects. Isnardi said Tobia was asking his questions in such a quick succession that she didn’t have time to take notes for possible follow-up questions. Of course while Isnardi spoke about Tobia’s interrupting of Garvey, she never said a word about Smith interrupting Tobia. As we said, Tobia seemed to be cutting people off who did not answer the question or who sought to make long statements to “yes or no” questions. It seemed that Tobia was interested in getting answers while Isnardi cared more about “decorum” and not caring one iota that Smith had interrupted Tobia while Tobia had the floor, which would be a violation of the Commission rules on decorum. However, none of the Commissioners who attacked Tobia on his style of questioning, dealt with the substance of what Tobia was asking and the answers he got. It seemed that it was more important to attack Tobia for his method to make sure the citizens didn’t focus on the answers. Clearly style over substance carried the day which should not be a comfort to any resident of Brevard County. Perhaps the whole shameful episode and not looking at facts was summarized in the actions of Chairman Smith who at the end of the debate asked for a motion authorizing the spending. That would be the same motion that was made earlier by Pritchett and seconded by Barfield. In the end, the motion for the spending passed with four Commissioners voting yes and only Tobia voting against it. We want to make clear that we are not taking a position on the spending. What we are concerned about is the lack of professionalism by the County Staff, the people who submitted applications for the funding and finally the Commission itself who was too bothered and offended with “Perry Mason” than to do the right thing by pausing and dealing with the legitimate concerns raised by the questions Tobia asked.